Greetings enthusiastic people! Welcome to Embrace Space! 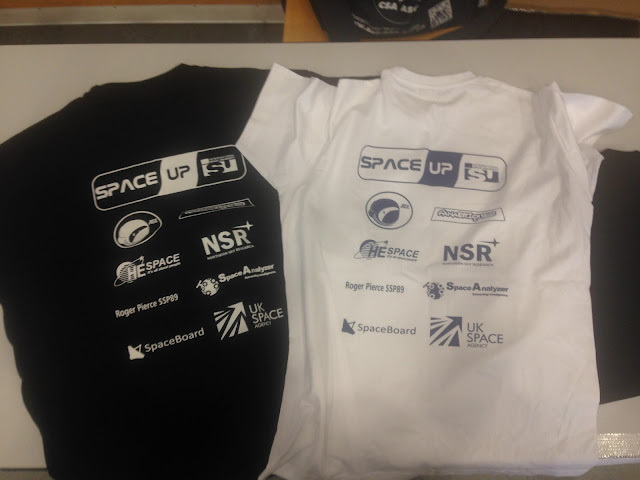 Today, we're going to go back to my former university, and attend a SpaceUp "un-conference!" Before we go too far, I should address your first question, "What is an 'un-conference'?" Well, contrary to an ordinary conference, full of scheduled speakers and sessions, an unconference sets out to allow greater interaction and participation from those who attend. 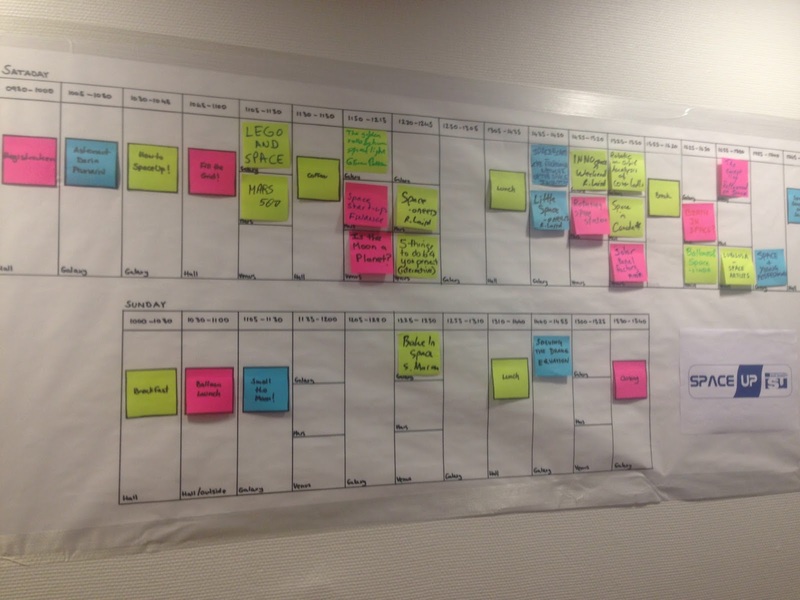 The structure is loosely based, the schedule and topics are chosen by participants, and in this way, each unconference is completely different! The SpaceUp unconference is aimed at discussing matters of importance and interest in the space industry. This was my first SpaceUp Unconference, and I was very excited! 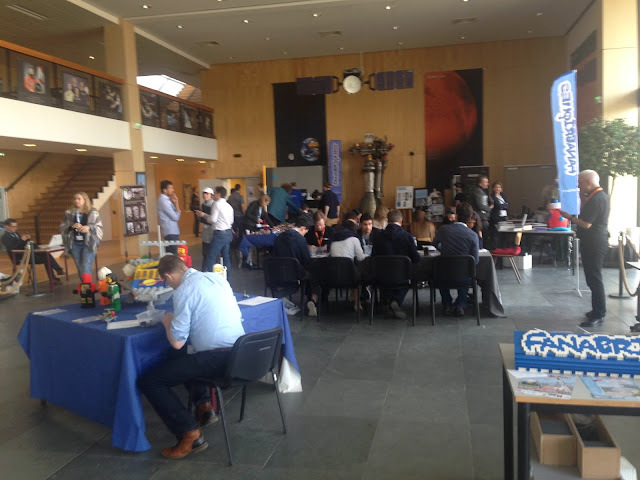 My company, NSR, sponsored the event, always willing to help the ISU grow the community of space-minded enthusiasts, and create networking opportunities. I was there, representing my company, and looking to make the most of the experience. After checking in, and receiving some very nice items, Juliette and I made our way around the room. There were several exhibits on display, as well as the Grid. No, not the one from Tron: Legacy, but the place where the schedule was set for the day. Sessions were broken up between Discussions, Panels, and T-5s, the first being an open conversation among participants, the second being a more traditional presentation on a topic, and the third involving a presentation lasting exactly 5 minutes, with slides rotating automatically every 15 seconds, presenting a fast-paced and interesting challenge for presenters. I did not bring any slides with me, but I decided to host a few discussions anyway, so I put them on the Grid. The first was on planetary definitions, as I wrote about recently, and the second was on business opportunities in the space industry. 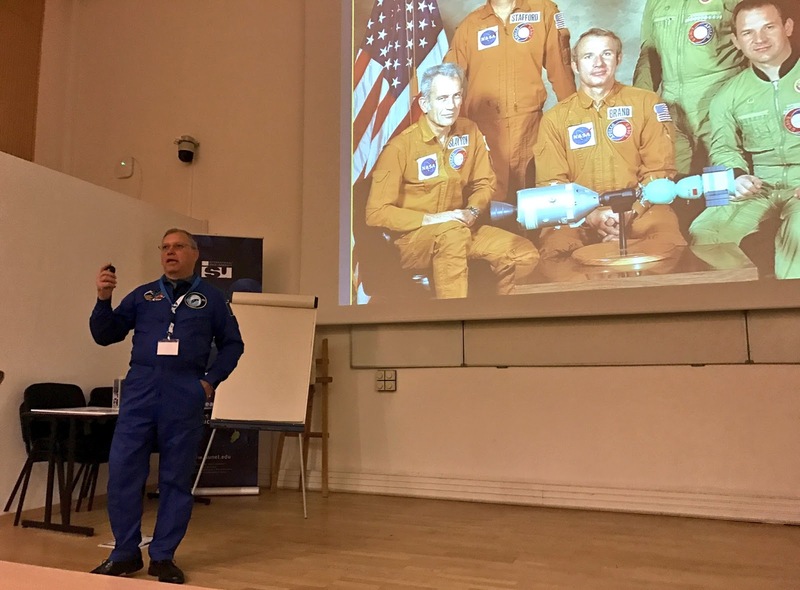 Many of the attendants to the event were more focused on the exploration side of the business, and so I strove to expand on that, as well as offer some perspectives from my time with NSR. The planetary definition discussion was very interesting, featuring a good dialogue, and offering interesting viewpoints on the topic from all involved. My space business panel was quite lively. 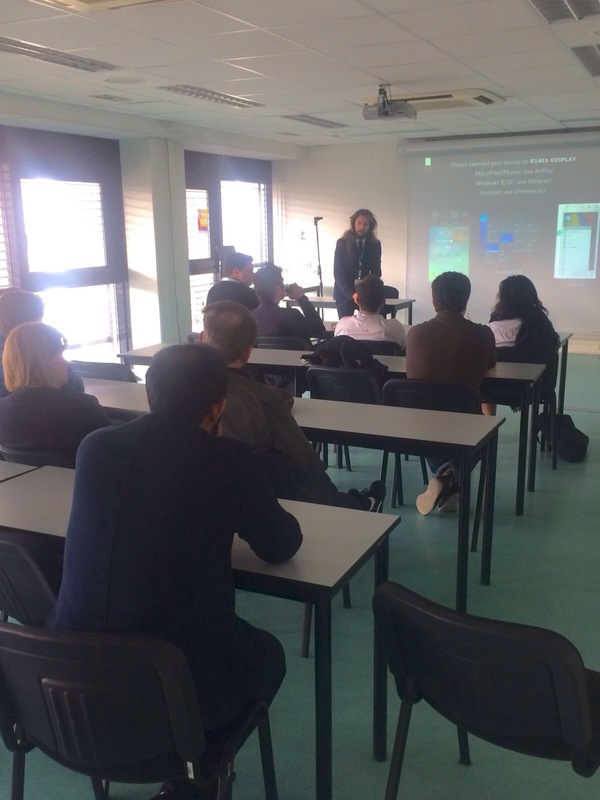 My goal was to present aspects of the industry to people who may ordinarily be more focused on exploration and pure science, and I would say I met my goal. Earlier in the day, there were panels on entrepreneurial efforts and guidance, which I heard were also well-attended. 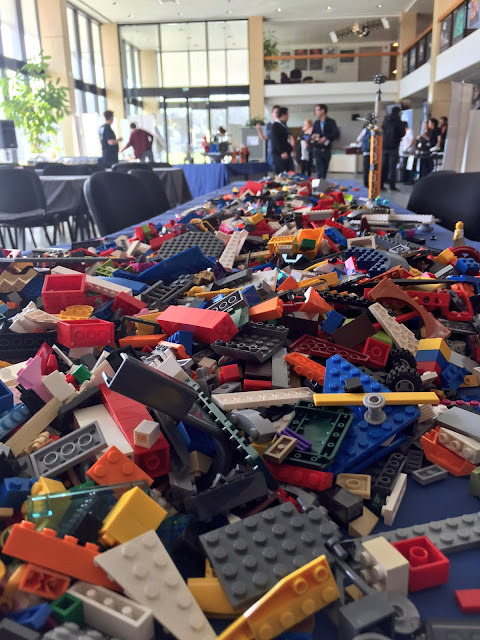 I spoke with engineers, scientists, a visual artist, designer, marketer, and others of various backgrounds, all in agreement that the business of space was essential, but difficult. Space is hard, you hear this often, but space is common, as in, we use assets in space every day for a variety of reasons. The entire stock exchange, and every bank transaction, is timed and coordinated via satellites. Global navigation, communication, weather and Earth study/observation, military coordination, and asset tracking for improved shipping fleet operations are just some of the very essential ways that we use space; to make money, to improve our lives, and to better coordinate ourselves. While I came from the camps of science and engineering, my time with NSR has helped me see the other side of the industry, and the best way forward, I believe, is a meeting of the two seemingly opposed ideas of exploration and business. After my panels, Juliette and I went back to the main hall. 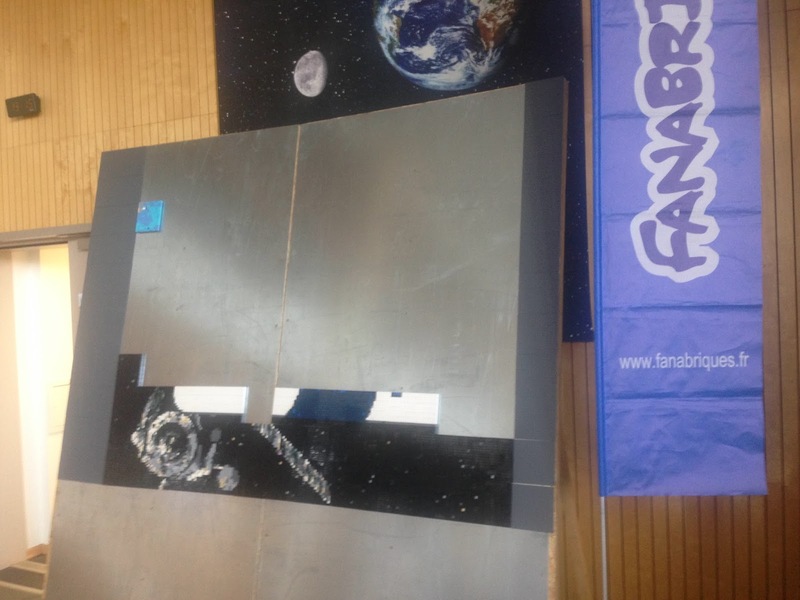 Featured prominently was the sponsorship of Fana'briques, an Alsatian community of LEGO enthusiasts! Besides the models and the table of LEGO, there was a mosaic to be made! 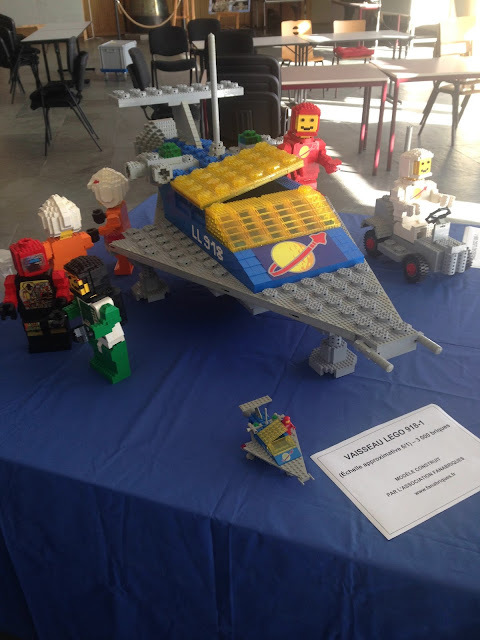 Fana'briques had designed a special mosiac for the event and had set aside LEGO and pieces of the design for participants to create throughout the day. 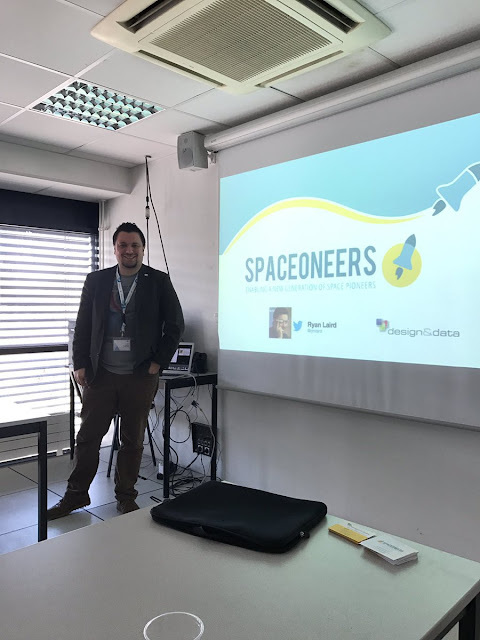 I learned about Space Board, a new and powerful, interactive online environment for space professionals, students, businesses and organisations to connect. I also learned that one can easily lock themselves in conference bathrooms and that there exists a handy online guide for such situations. The first day concluded with some food, some Alsatian beer, and some live music. I did not attend the second day because, by that point, I had been doing conferences for almost a full week straight and my feet were tired. The second day contained more excellent panels, and even a balloon release, more info can be found on Twitter, @SpaceUpISU. 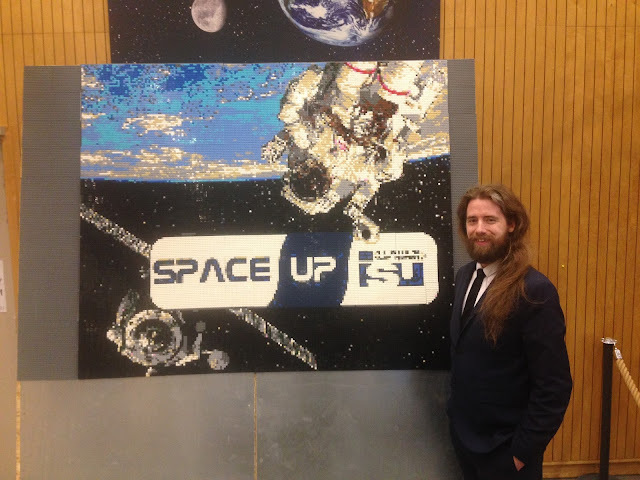 All in all, it was an excellent event, bringing people together to network and learn more about space, and the opportunities it brings to our daily lives. 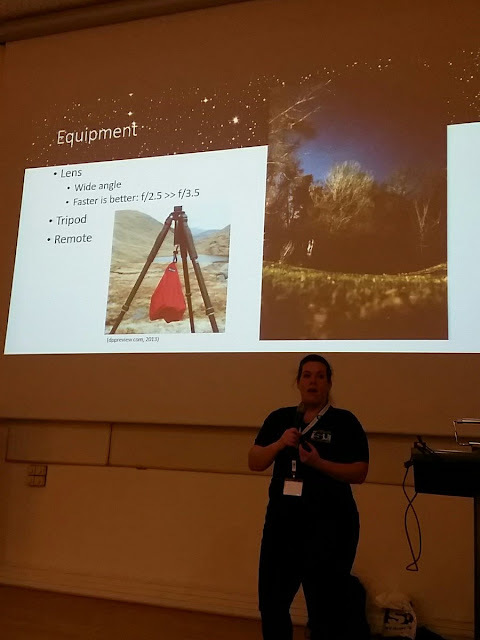 I was very proud to represent NSR at the event, and work with the community to improve the communication and outreach of the importance of space. I enjoyed the "un-conference" format, allowing for a more casual environment and more spontaneous swell of ideas, and look forward to attending more such events in the future. Should you have a chance to check out a SpaceUp, take the opportunity, you may find you have more to contribute, and will get more out of it, than you had originally assumed. That concludes my post for today, thank you all very much for reading!